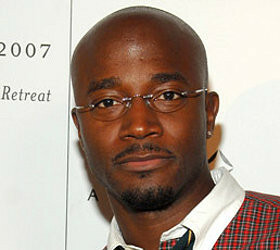 *Black films are held to a severe double standard , according to Taye Diggs. The “Murder in the First” star brought the issue to light in a recent interview with the Associated Press as he alluded to the success of black films being a good indicator of whether or not a studio will take steps to make more films featuring primarily African-Americans. “Unfortunately, the business is such that as far as studios are concerned, they judge one quote-unquote black movie on how other ‘black’ movies have done, even if they have nothing to do with each other,” said Diggs, who labeled the situation “ridiculously” frustrating. Diggs can relate to the fall out from the success of black films, considering his “Best Man” films have been very popular at the box office. Paul Dergarabedian, a senior analyst for box-office tracker Rentrak, told the AP that the franchise’s latest installment, “The Best Man Holiday” grossed more than $70 million in North America last year and was profitable. Despite admitting that he and his “Best Man” film series cast mates are eager to start on a third, Diggs says the fate of the third movie rests on how well other black-oriented films, including the upcoming “Think Like a Man Too,” perform at the box office. When asked about Diggs’ comments Universal Studios, which released 1999’s “The Best Man” and “The Best Man Holiday” had no comment. Next Article‘Dear FaceBook Friend, Will You Murder My Family?’ - Guess Who’s in Jail Now?